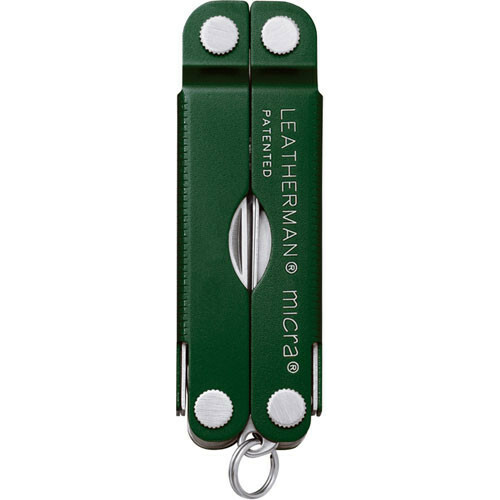 The Leatherman Micra Multi-Tool features stainless steel construction with 10 tools including a 1.6" 420HC blade, 3 screwdrivers, as well as spring-action scissors, nail file, and tweezers. This is a compact, 1.8 oz. tool that is easy to stow away or attach to just about anything using its key ring attachment. The Micra Multi-Tool is assembled in the USA. Box Dimensions (LxWxH) 8.1 x 5.1 x 1.2"